Body lotions help to moisturize and soften dry skin. Especially in conventional body lotions you can find often substances which you do not necessarily want to apply to our skin. Consumers have become more and more sensitive and are now looking for products that do not contain chemicals such as Parabens, PEGs or Paraffin. Paraffins, a derivable from petroleum (mineral oil), are obtained from residues of the mineral oil production. They are cheap to create and are a substance found in many body lotions and moisturizer creams. 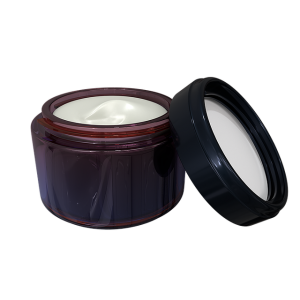 What is the function of mineral oil in lotions? Paraffins make the skin soft and reduce the loss of moisture. Paraffin oil or wax forms a water-impermeable film on the skin which prevents the substances for the actual skin care in creams and lotions to escape; and the skin feels smooth again. But this artificial seal is becoming more and more controversial. Scientists suggest that by applying it regularly the skin loses its own ability to regenerate and without it the skin is becoming increasingly drier. But also in the case of greasy skin, the use of paraffins can lead to excess sebum not being able to flow off, resulting in skin irritation. …and of course it is made of mineral oil! How can I identify Mineral Oil substances such as Paraffin?